An Arab named Khalid in kaffa in southern Ethiopia was one day grazing goats and observed that his goats became more energetic and much livelier than before after some time. After further inspection, he found out that this energetic behavior was because of certain berries that his goat grazed. He later boiled those berries to make the first coffee. The first historical record of the drink was made when beans exported from Ethiopia to Yemen were used by Sufis to stay awake as a sign of religious devotion on special occasions. By the late 15th century it had arrived in Makkah and Turkey from where it made its way to Venice in 1645. But it wasn’t until the 16th century that coffee beans came to Europe. It was brought to England in 1650 by a Turk named “Pasqua Rosee” who opened the first coffee house in Lombard Street in the City of London. The Arabic word “qahwa” became the Turkish “kahve” then the Italian “caffé” and then English “coffee”. We all know about Ibn-al-Haitham from our primary and secondary school books, as he was a great Muslim mathematician, astronomer and physicist of the 10th century. 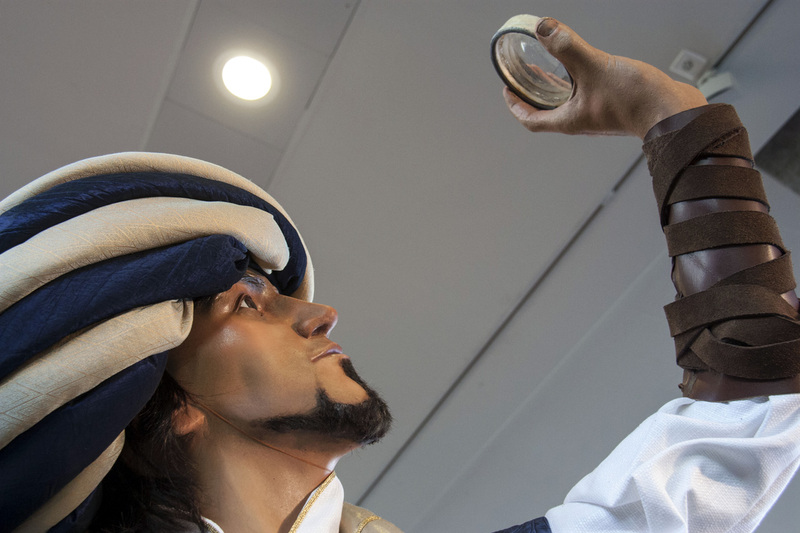 The Greeks used to think that light leaves the eye like a laser, but Ibn-al-Haitham was the first person to realize that light enters the eye, rather than leaving it. He proved that humans see objects by light reflecting off of them and entering the eye. He invented the first pinhole camera after noticing the way light came through a hole in window shutters. The smaller the hole, the better the picture. The word ‘camera’ as we know today is basically derived from the word Qamara, The same qamara we use for our rooms in Urdu, because he made the pinhole camera in a dark room. 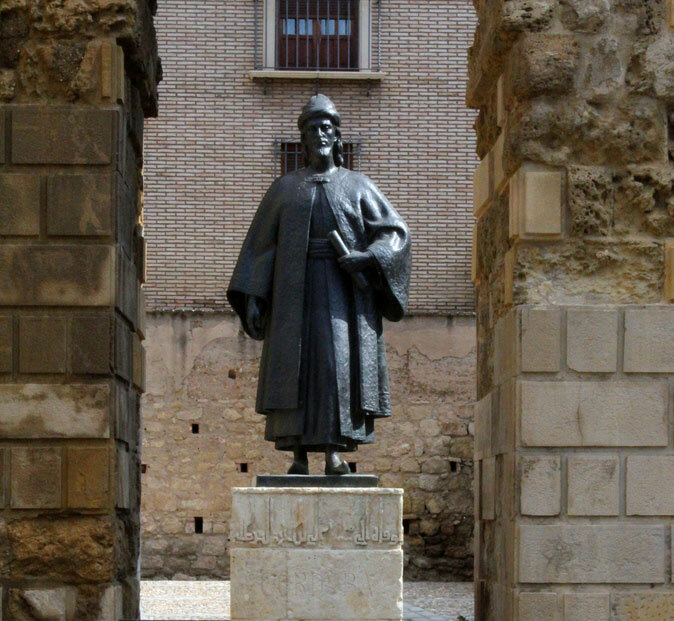 A young princess named Fatima Al-Firhi in 859 founded the first degree-granting university in Fez, Morocco. Fatima and her sister Miriam wanted to expand it that is why they founded an adjacent mosque and together the complex became the “Al-Qarawiyyin Mosque and University”. Still operating for almost 1,200 years by now, this should also be noted that the center reflects the core belief that the quest for knowledge is close to the heart of Muslims and is the core of the Islamic tradition. The story of the Al-Firhi sisters continues to inspire young Muslim women around the world. It also stresses the fact that Islam does not restrict women from acquiring knowledge. 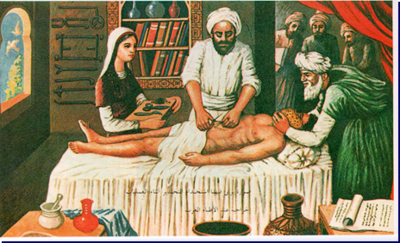 Abul Qasim Khalaf ibn al-Abbad al-Zahrawi”, a man known in the West as Abulcasis, was the first surgeon in human history. During the 10th century, he wrote “Al-Tadrif”, his medical encyclopedia which included a treatise called “On Surgery”. This held a staggering collection of knowledge which included his scalpels, bone saws, forceps, fine scissors for eye surgery and many of the 200 instruments he devised. Those instruments are still in use by modern surgeons today. All of those illustrations were used in Europe as a medical reference for the next 500 years. 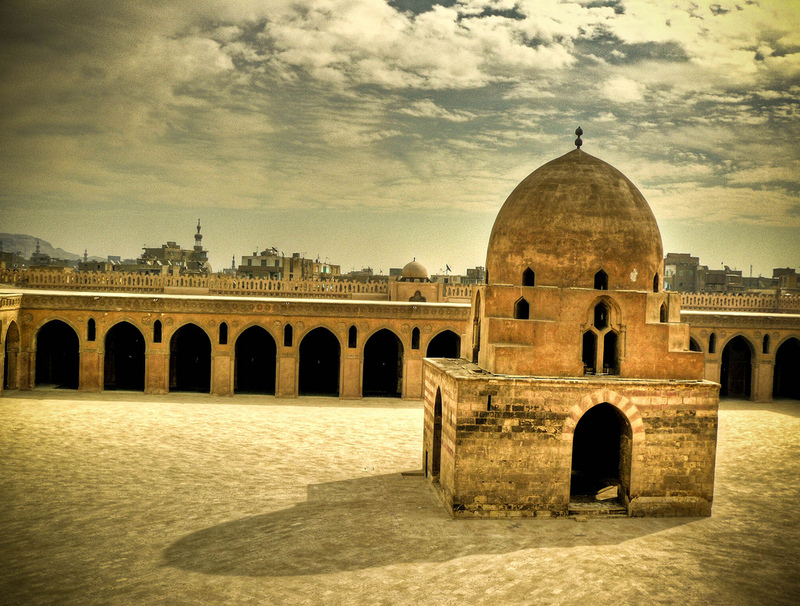 The first Medical Center of its kind, with wards, beds, nurses, etc was the “Ahmad ibn Tulun Hospital” (named for the founder of the Tulunid dynasty). It was founded in 872 in Cairo. Tulun hospital provided free care for anyone who needed it, a policy based on the Muslim tradition of caring for all who are sick. From Cairo, such hospitals spread around the Muslim world. 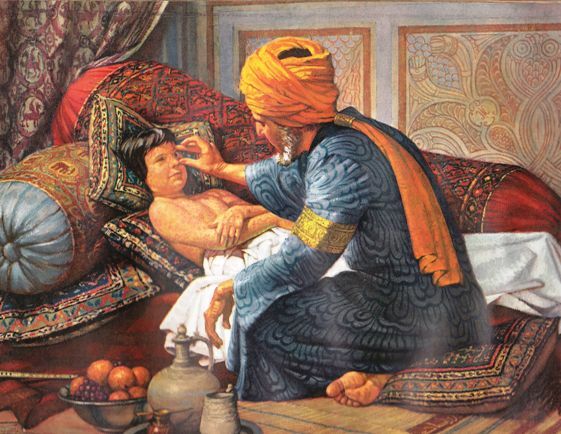 All patients received free health care, a Muslim tradition which was institutionalized with the advent of the hospital. Slightly more basic hospitals had existed prior to this in Baghdad. But it was the Cairo model which would later serve as the template for hospitals all around the globe. 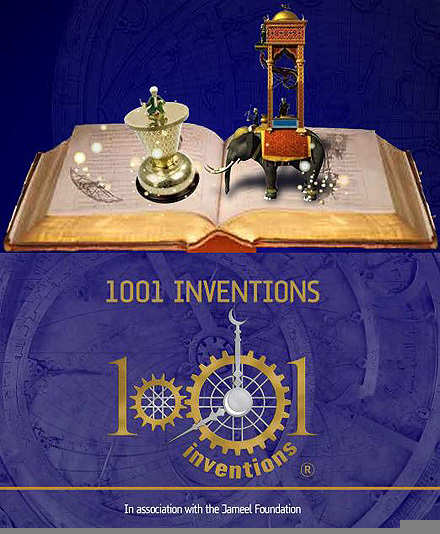 Students struggling through math classes may not particularly appreciate this Muslim invention but it is one of the most important contributions of the Muslim Golden Age to the modern world. The system of numbering in use all round the world is probably Indian and Greek in origin but the style of the numerals is Arabic and first appears in print in the work of the Muslim mathematicians Al-Khwarizmi and Al-Kindi around 825. The word algebra comes from the name of Al Khwarizmi’s book “Al-jabr”, meaning “completion”. He even solved the real-world problems such as zakat calculation and inheritance division. A unique aspect of his reasoning for developing algebra was the desire to make calculations mandated by Islamic law easier to complete in a world without calculators and computers. The work of Muslim mathematician scholars was imported into Europe 300 years later by the Italian mathematician Fibonacci. 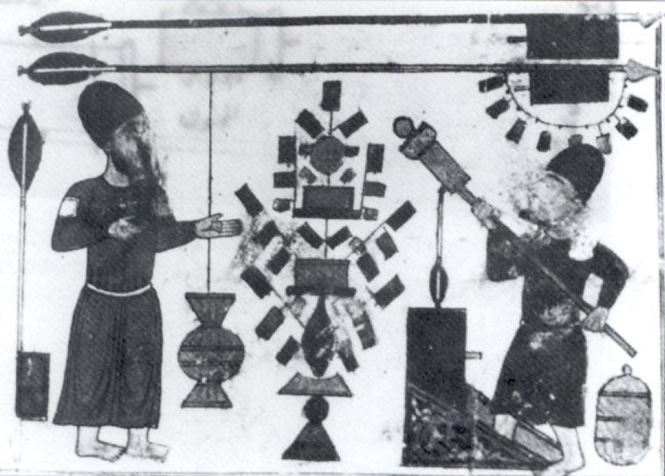 The windmill was invented in 634 for a Persian caliph. Initially electricity wasn’t made from these windmills instead they were used to grind corn and draw up water for irrigation. In the vast deserts of Arabia, when the seasonal streams ran dry, the only source of power was the wind which blew steadily from one direction for months. 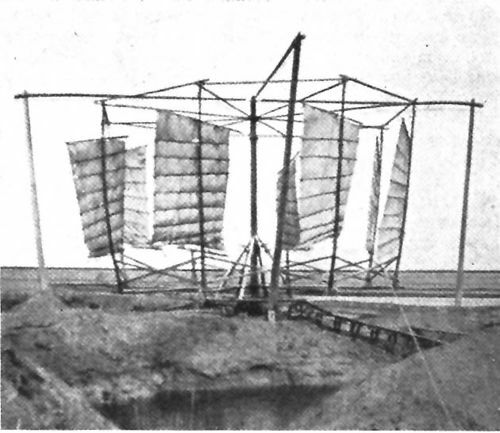 These mills had 6 or 12 sails covered in fabric or palm leaves. It was 500 years before the first windmill was seen in Europe. As even taught in secondary school books, that the technique of inoculation was invented by Jenner and Pasteur is wrong. It was actually the Muslims who first devised the technique, which was later brought to Europe from Turkey by the wife of the English ambassador in 1724. Children in Turkey were vaccinated with cowpox to fight the deadly smallpox at least 50 years before the West discovered it. Though the Chinese invented saltpeter gunpowder, and used it in their fireworks, it was the Arabs who worked out that it could be purified using potassium nitrate and can later be used for military use as a weapon. Muslim incendiary devices terrified the Crusaders. By the 15th century they had invented both a rocket, which they called a “self-moving and combusting egg”, and a torpedo, a self-propelled pear-shaped bomb with a spear at the front which impaled itself in enemy ships and then blew up. By the 9th century, many Muslim scholars took it for granted that the Earth was a sphere. Astronomer Ibn Hazm as a proof said that, “the Sun is always vertical to a particular spot on Earth” due to which it must be in sphere shape. It was 500 years before that realization dawned on Galileo. The calculations of Muslim astronomers were so accurate that in the 9th century they reckoned the Earth’s circumference to be 40, 253.4km – less than 200km out. 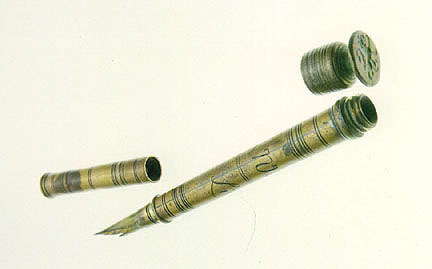 On the demand of sultan of Egypt, the fountain pen was invented in 953. As he demanded a pen which would not stain his hands or clothes and a pen which didn’t needed an inkpot with it, instead it should carry the ink in its body. Later a fountain pen was designed. It held ink in a reservoir and, as with modern pens, fed ink to the nib by a combination of gravity and capillary action. Washing and bathing are religious practice and is a requirement for Muslims to pray, which is perhaps why they perfected the recipe for soap which we still use today. Hazrat Saalih (A.S) is known to have invented soap as we know today. The ancient Egyptians had soap of a kind, as did the Romans who used it more as a pomade. But it was the Arabs who combined vegetable oils with sodium hydroxide and aromatics such as thyme oil. 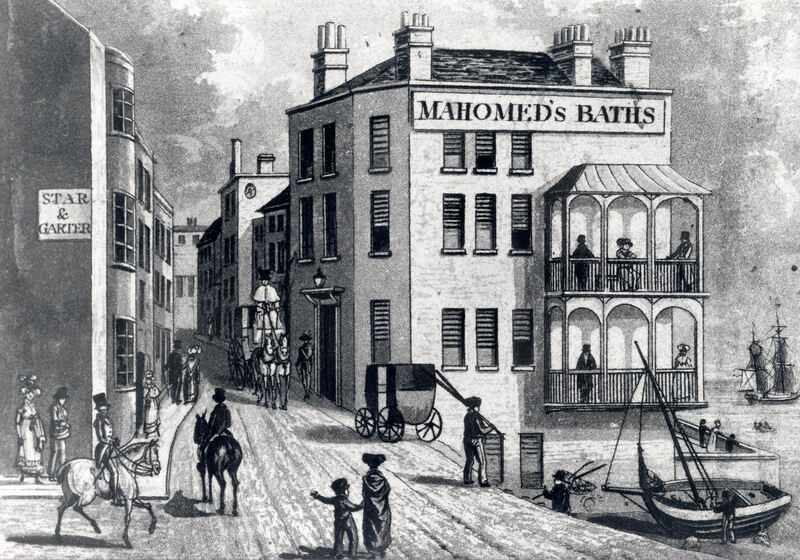 Shampoo was introduced to England by a Muslim who opened Mahomed’s Indian Vapour Baths on Brighton seafront in 1759 and was appointed Shampooing Surgeon to Kings George IV and William IV. 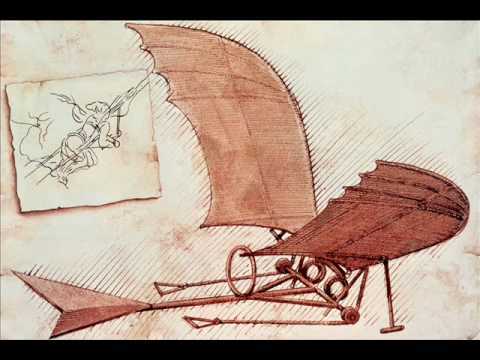 A thousand years before the Wright brothers a Muslim poet, astronomer, musician and engineer named Abbas ibn Firnas was the first person to make real attempts to construct a flying machine and fly. In 852 he jumped from the minaret of the Grand Mosque in Cordoba using a loose cloak stiffened with wooden struts. He hoped to glide like a bird. He didn’t. But the cloak slowed his fall, creating what is thought to be the first “parachute”, and leaving him with only minor injuries. But his dreams of flying couldn’t let him sleep in peace for which, In 875 at the age of 70, having perfected a machine of silk and eagles’ feathers he tried again, jumping from a mountain. This time he designed a winged apparatus, roughly resembling a bird costume. He flew to a significant height and stayed aloft for about ten minutes but crashed on landing, later it was concluded that it happened because he had not given his device a tail so it would stall on landing. His designs would undoubtedly have been an inspiration for famed Italian artist and inventor Leonardo da Vinci’s hundreds of years later. Baghdad international airport and a crater on the Moon are named after him.